rlf3 has no other items for sale. Super Sprint (Nintendo Entertainment System, 1989)TESTED & WORKS! 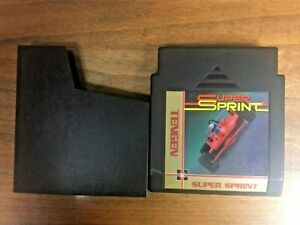 Though lacking the Official Nintendo Seal of Quality (the game is one of several unlicensed NES titles produced by Tengen), Super Sprint is a solid, if somewhat incomplete, port of the coin-op classic. The biggest drawback with the game is the absence of a three-player mode. Other, less egregious shortcomings include the lack of helicopter flyovers, reduced graphical detail (there are fewer trees and no spectators), and a simplified Winner's Circle screen. Also, the seven courses, though roughly patterned after those in the arcade game, are non-selectable. On a more positive note, two new obstacles have been introduced: exploding cones and hydraulic poles. 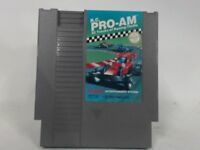 Gameplay mechanics remain very similar to the original, and many players will find that the NES control pad is actually easier to use in steering the cars than the arcade wheel. 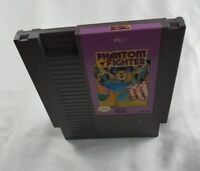 Certain gamers less enamored with the cartridge will toss it aside in favor of a deeper, more "modern" NES racer such as R.C. Pro-Am. I would only buy it if you are collecting games. A generic racing game, with a top down view. The graphics are not bad for the time, but there is no car choice. I would say that the biggest problem with this game is the game play and controls. If you want a game that is super easy then this game may be for you. However, the game is only easy until there are a lot of corners, then you will feel how bad the controls work.